Please note: Saveris converter V 2.0 (order no. 0572 0258) is required for integrating Saveris radio probes into systems with base firmware V 1.X. For more information please contact your Testo partner. 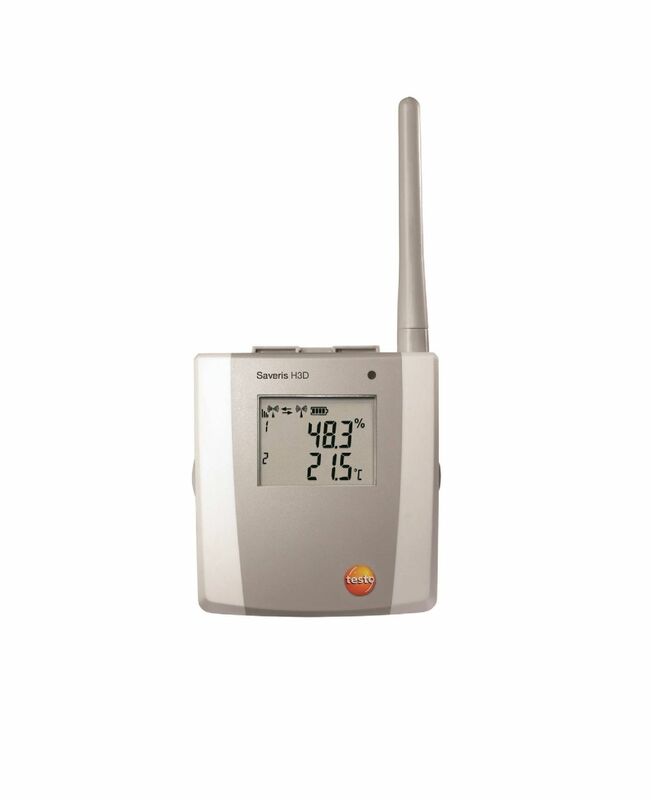 testo Saveris H3 D humidity/temperature radio probe with display, radio frequency 2.4 GHz, including wall bracket, calibration protocol and 4 × AA alkaline manganese batteries.